COMES WITH A POUCH FOR EASY STORAGE! 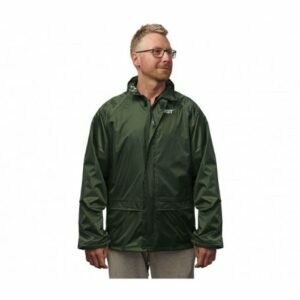 THESE ARE IDEAL FOR KEEPING IN THE CAR, ALSO AT A REALLY AFFORDABLE BUDGET! SIZES ARE- MEDIUM, LARGE, EXTRA LARGE & XXL! VIKING DRINKING HORNS, TO BRING OUT THE VIKING IN YOU! 100% SAFE TO USE, HOLDS JUST UNDER A PINT, IDEAL FOR PARTIES, FESTIVALS ETC, EXTREMELY STRONG AND WELL MADE. 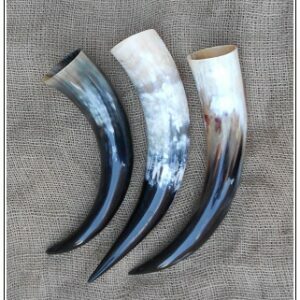 Please note, Image shows 3 different horns, one horn per purchase, check out our Viking drinking horn stands! VKING DRINKING HORNS, TO BRING OUT THE VIKING IN YOU! THIS IS THE LARGEST HORN WE DO, EXTREMELY STRONG, WELL MADE, 100& SAFE TO USE, COLOURS MAY VARY SLIGHTLY, THIS HORN HOLDS OVER A PINT SO ITS IDEAL FOR FESTIVALS AND PARTIES ETC. Please note* image shows 3 different sizes, its one horn per purchase. These Viking Drinking Horns really will bring out the Viking in you! Tough,beautiful and strong,100% safe to use and you will only taste the drink inside! Colours may vary from horn to horn, the 200 MIL version is the smallest one we do, smart in design , will last years, ideal for shots, parties even kids love this for soft drinks, the average length is 7- 10 inches, Optional Horn stands now available. 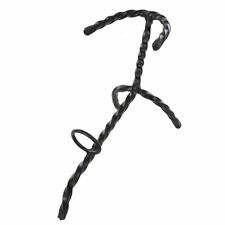 Viking Horn stand, show off your Horn with these impressive stands! !